Almost 800 jobs will be created or safeguarded across Scotland in a £7 million boost to the economy, Scottish Enterprise announced today, as it published the quarterly report on Regional Selective Assistance (RSA). The report, which outlines grants accepted between October and December 2009, shows that RSA funding totalling £7.28 million was accepted by 27 businesses during the last quarter, signifying the planned creation of 528 new jobs for Scotland, and safeguarding a further 257 jobs. Regionally, Glasgow welcomed almost £3.65 million of the funding, thanks to the planned relocation of Odyssey Financial Technologies to the city, while the other main regional beneficiary is Ayrshire, where five companies have been granted an additional £1.84 million. The funding offered to Ayrshire companies Airframe Components Europe, Braehead Foods, Emergency One (UK), Spirit Aerosystems (Europe) and Woodward International Inc represents a quarter of the total RSA funding from the last quarter and will provide a welcome investment for the region, helping to create or secure over 140 jobs. The manufacturing and aerospace industries were the biggest sectoral beneficiaries during the last quarter, respectively receiving 23% (£1,693,000) and 21% (£1,551,000) of the total funding offered, while the food and drink, energy, digital media and automotive industries also received an investment boost. RSA is a national scheme which provides grants to investment projects that will create and safeguard employment. Responsibility for the scheme passed from the Scottish Government to Scottish Enterprise during the last quarter, so the current report includes grants offered by both parties. 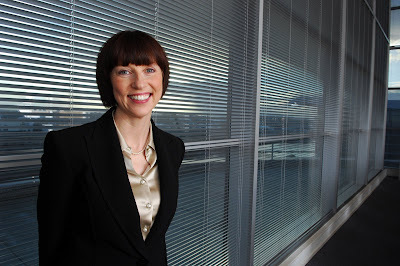 Commenting on the report, Scottish Enterprise chief executive Lena Wilson said: “RSA funding is one of the key tools we can use to encourage both indigenous and foreign companies to invest in Scotland, helping to create new jobs and ensuring Scotland’s economy can remain globally competitive. 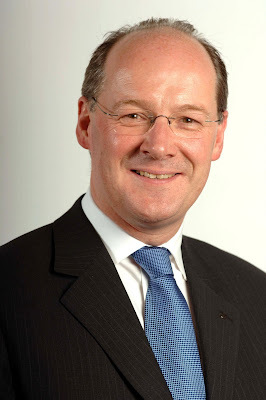 John Swinney, Cabinet Secretary for Finance and Sustainable Growth (pictured above) added: “In what remains a challenging economic climate, it is encouraging to see a number of companies in Scotland expanding and creating vital new jobs. There are currently 645 Ayrshire business stories permanently archived on this site. To locate those of most interest to you, please use the site search facility in the top left hand corner of this page. Type your search term in the white box, then click the magnifying glass symbol.